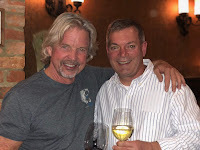 Bazin's on Church recently hosted Cass Winery and its charismatic co-owner Ted Plemons. He and Steve Cass officially opened the winery in 2005 on land Cass owned and, motivated after a trip to South Africa, they wo hired their future winemaker before even one vine was planted. From that opening Cass Winery has earned multiple awards and salutations and in 2015 and 2018 Winery of the Year at the Central Coast Wine Competition. Located in Paso Robles Wine Country, the 145 acre estate vineyard benefits from the "Templeton Gap" -- a series of passes in the Santa Lucia Range through which air flows creating evening breezes. This helps generate a dramatic change in temperature between daytime and nighttime (the diurnal variation) which in turn helps preserves the balance of natural acids inside the grapes. Like many of its neighbors, Cass specializes in Rhone grape varieties such as Grenache, Syrah, Mourvèdre (the GSM blends), and Petite Sirah for reds and Viognier, Roussanne, and Marsanne for whites. 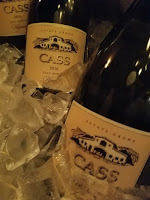 Paso is also becoming well known for their Cabernet (see Paso Robles CAB Collective) and Cass currently pours a savory and creamy 2015 Cabernet Sauvignon ($36). 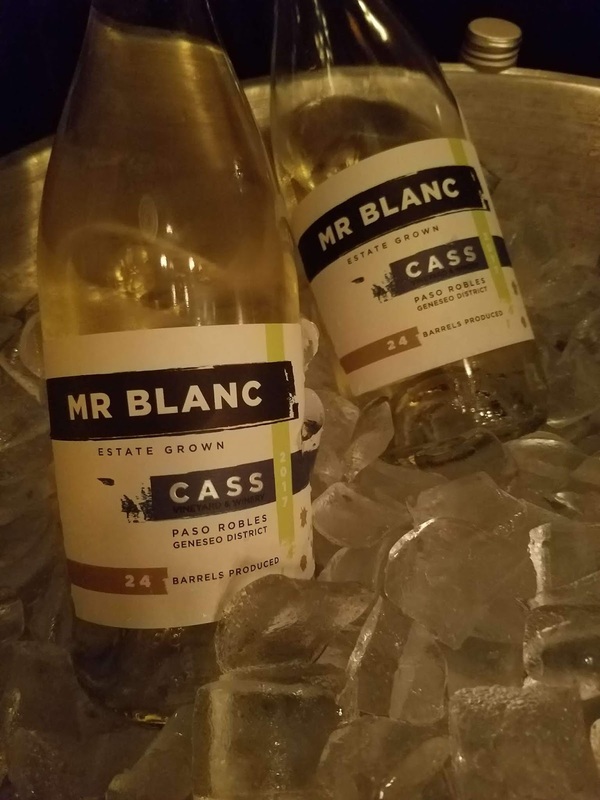 But the Rhone varietal wines were the main attractions at Bazin's starting with two delicious white wines -- the 2017 Genesso District Mr. Blanc ($24) and the 2016 Estate Viognier ($27). This Viognier possesses the characteristic stone fruits of peaches and apricots with brilliant acidity that balances the fruity front and finish. 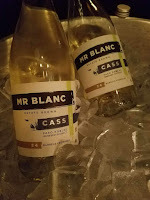 The Mr. Blanc is a blend of Marsanne, Roussanne, and Viognier and is more tropical and minerally in nature. We came home with a few bottles of this fantastic wine. There were also two red Rhones the 2015 Mourvèdre ($35) and 2015 Grenache ($35). Both were juicy wines with dark fruit, spices, and approachable smooth tannins. And finally they poured the layered and wavy 2014 Backbone Syrah ($45) - commendably old world in style.